This adds elements from the classic 1980 arcade game Star Castle to Transcendence. Among them include two retro 2D ships and items used by them, including a device that erects triple energy ring barriers to absorb incoming shots or repel ships. The barrier device cannot be found for sale, but to give you a chance at finding one, a bonus boss lurks somewhere in the Ungoverned Territories, carrying a valuable prize! Can you find and defeat the Star Castle Boss? Also added is an arcade mode adventure - the Star Castle Arcade! 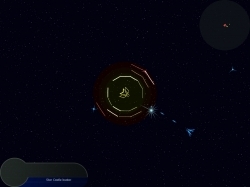 Fight waves of progressively faster Star Castles until you lose all of your ships. Score as high as you can. Minimum resolution required for Arcade mode is 1024x768. Looks cool! Will try this mod out! Reuploaded at 79 downloads. The mod has been almost rewritten to emulate the classic arcade game much more closely. Now features a new adventure - Star Castle Arena! Reuploaded at 80 downloads, with several minor bug fixes. Reuploaded at 100 downloads. Fixed bug where generator did not use shield slot. Reuploaded at 109 downloads. Added mild friction to playership in Arcade mode. Constant thrust will be required to maintain maximum speed. Also, Star Castle no longer fires it main gun while protected by Sustain. Updated to 1.5 at 246 downloads. Reuploaded at 258 downloads. Pressing [S] in Star Castle Arcade adjusts firing rate. Options include 6, 7.5, or 10 shots per second. Updated to 1.6 at 318 downloads. Arcade mode has been tweaked to provide a closer adaptation of the original arcade game. Reuploaded at 327 downloads. Enabled thrust sound in Arcade mode. Hear your ship roar! Reuploaded at 371 downloads. The bug which energy rings did not block shots has been fixed. Also, the background in arcade mode has been removed for a more retrogame experience. Reuploaded at 375 downloads. Arcade mode has a new background-like image as seen in the screenshot. Reuploaded at 386 downloads. Now playable in Eternity Port. 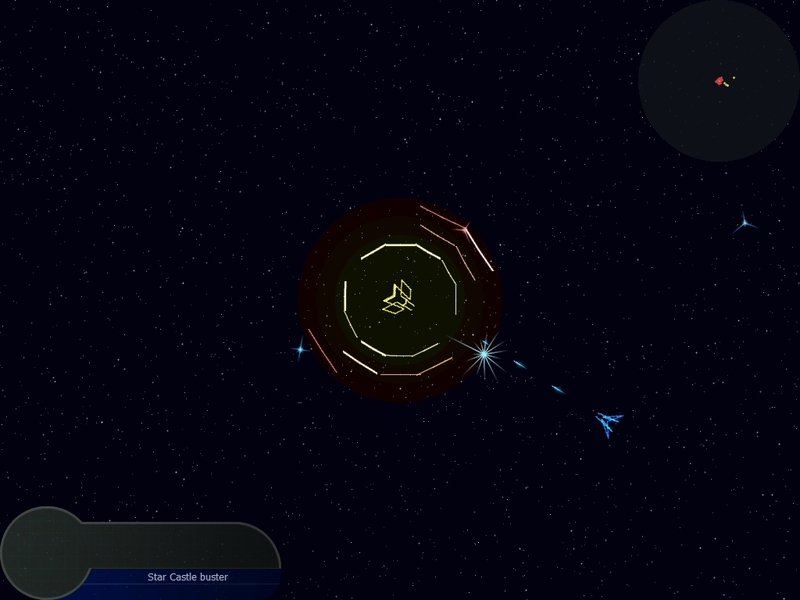 Also added a special weapon upgrade for the blue ship if it kills the Star Castle Boss. Hahaha This is an awesome idea. Fine work as always PM! Updated to 1.6 (RC, not beta) at 425 downloads. Playerships start with reactors installed. Also stopped the Tinkers and their guards from spawning in Arcade mode in v1.6b5+. Updated to 1.7a1 at 607 downloads. Updated to 1.7b6 at 829 downloads. This should fix a bug that crashes the game after finishing a game from the Star Castle Arcade adventure. Updated to 1.7 at 980 downloads. Fixed the bug that allowed the Star Castle to move. Also enabled for Vault of the Galaxy, and all of the added items scale by system level automatically.